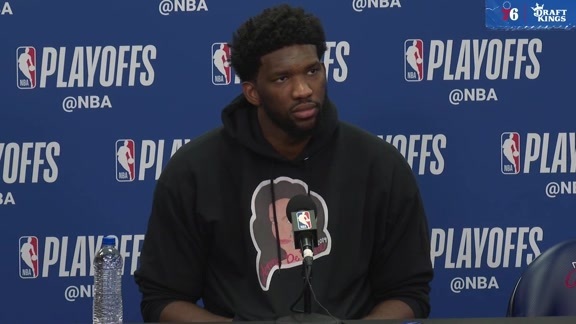 Of the many encouraging developments to emerge from Thursday’s key win at Indiana, perhaps most significant of all was that the 76ers managed to back up Tuesday’s outrageous performance against the Minnesota Timberwolves with an even stronger, more pertinent one versus the Pacers. The Sixers may have only managed to beat Indiana by 24 points, rather than 42, which was Tuesday’s margin of victory. But at Bankers Life Fieldhouse, the caliber of competition was stiffer, and the stakes were higher, thereby making the Sixers’ 120-96 triumph their best of the season, possibly. There were a handful of items to unpack from the game, which resulted in the Sixers moving into what is essentially a tie for third place in the Eastern Conference standings. Here are three things that, to me, were particularly noteworthy. The guy is as fierce a competitor as there is. Heading into Thursday’s game, Embiid was listed as questionable, due to back pain. He seemed to grind his way through the first half, shooting 4 for 11, then hit his stride in the second. For the night, the All-Star registered 22 points (9-19 fg), 13 rebounds, eight assists, and three blocks. His defensive impact was critical. 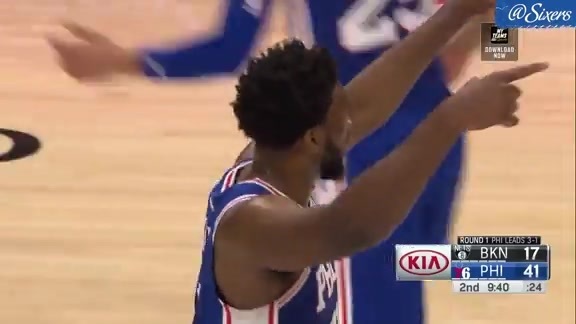 To Embiid, all that mattered was that he was able to get on the court for a big contest. Are Embiid’s tangible skills vital to the Sixers’ success? Of course. But the ripple effects of his intangibles are mighty important, too. The offensive numbers from the Sixers’ wins this week over Minnesota and Indiana are ridiculous. Between the two games, they’ve totaled 269 points, shot 53.8 percent from the field, hit 51.1 percent of their threes (45 3fgm), and assisted on 67.0 percent of their baskets. For as efficient as the offense has been looking (the Sixers shot 52.9% overall and from three vs Indy's no. 3-ranked defense), I’ve been even more impressed with the defense. It’s the area that Brett Brown has lately been harping on the most, and against the Timberwolves and Pacers, the D showed promising progress. Between the two games, the Sixers generated a 98.1 defensive rating (for context, the top defensive rating in the league, which belongs to Oklahoma City, is 103.6), and surrendered a stingy 39.6 percent from the field. From an optical standpoint, the Sixers have just looked like a more....cohesive unit. 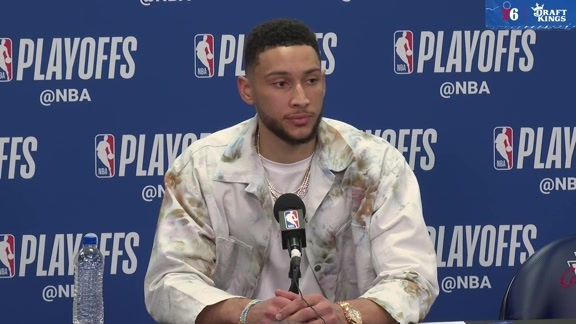 Ben Simmons feels communication has improved, while Joel Embiid says the team is doing better mastering its concepts. Either way, Brown has to like this latest trend. Jimmy Butler was excellent against Indiana. He was guarded most of the evening by Bojan Bogdanovic, and I thought Butler and the Sixers did a great job exploiting the mismatch. Butler had the edge in just about every department - speed, athleticism, strength. With Butler relentlessly attacking downhill, there was little Bogdanovic could do to slow the four-time All-Star down. Team did a good job exploiting this match-up in 1st half. Butler was a deserved bell-ringer Thursday. He was just as key to helping the Sixers keep pace with Indiana in the first half as he was to putting the Pacers away in the second. And for as much as Butler filled his own cup, he spread the wealth around, too. His eight assists tied a season-high. That’s playing the right way.